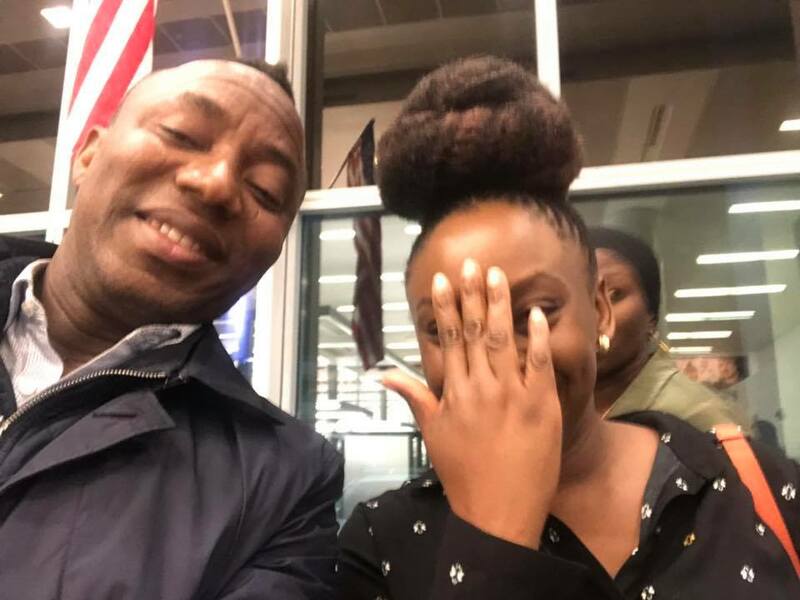 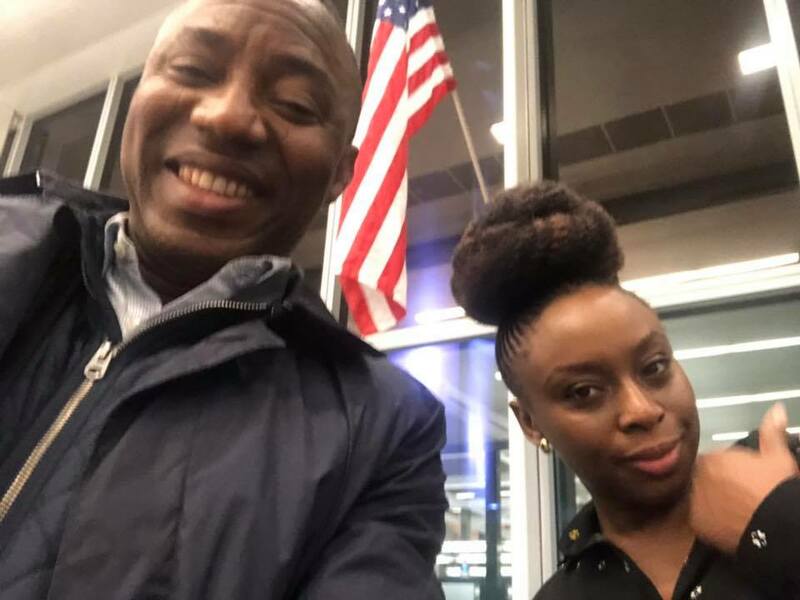 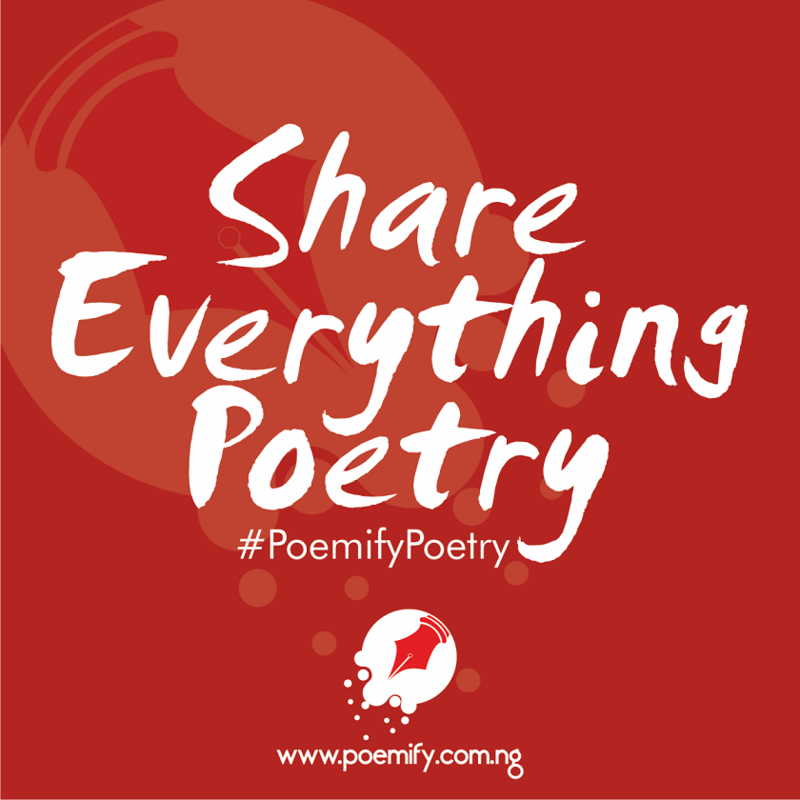 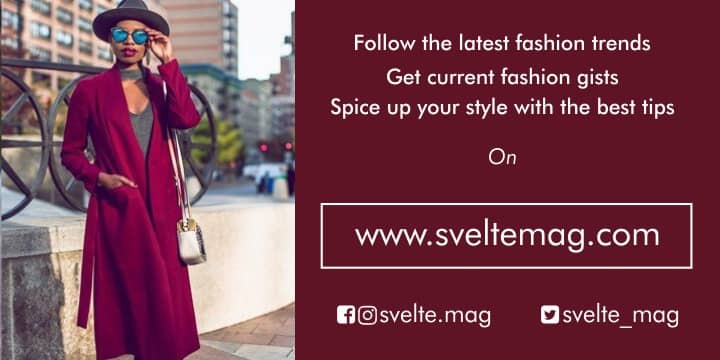 Mr Omoyele Sowore, the Sahara Reporters publisher and presidential aspirant, has met popular award winning writer Chimamanda Adichie in Lagos while travelling to New York. The publisher who is also vying for the post of presidency come 2019, posed for photos with the writer and then shared them on his Facebook page. While posting the photos, Sowore used the opportunity to mock Nigerian leaders, calling them "dumb".